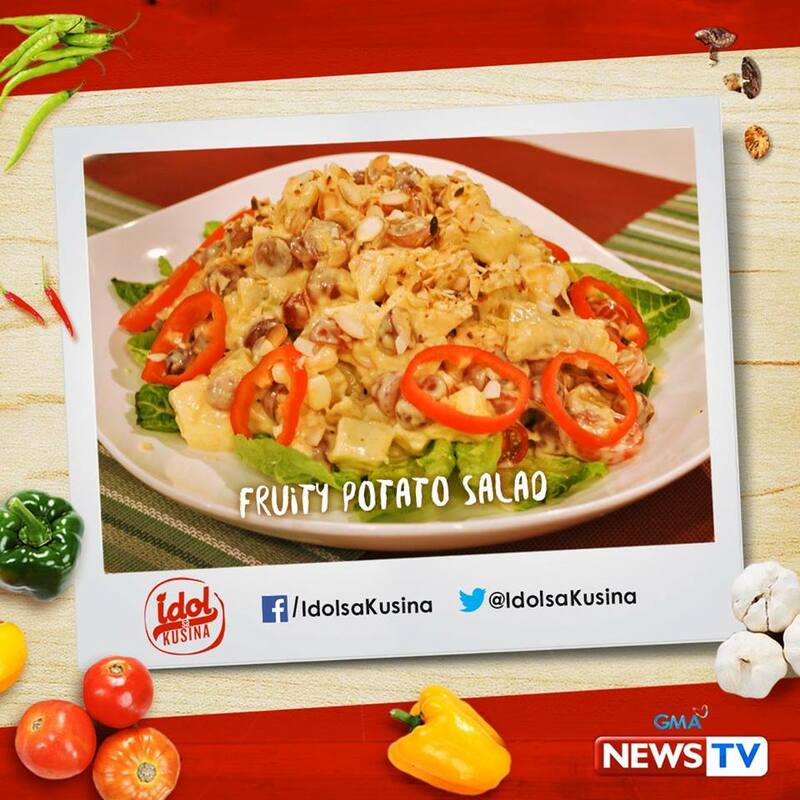 How to MakeFRUITY SWEET POTATO SALAD. 1. On a bowl mix mayo, mustard, paprika and then squeeze in lemon and rind then season with salt and pepper. 2. Toss in Sweet potato, onion, apples, grapes, cherry tomato and almonds. 3. Season with salt and pepper then chill before serving. Need a hero to save the day? Take your pick from 8 DC Superhero Girls and Justice League toys! 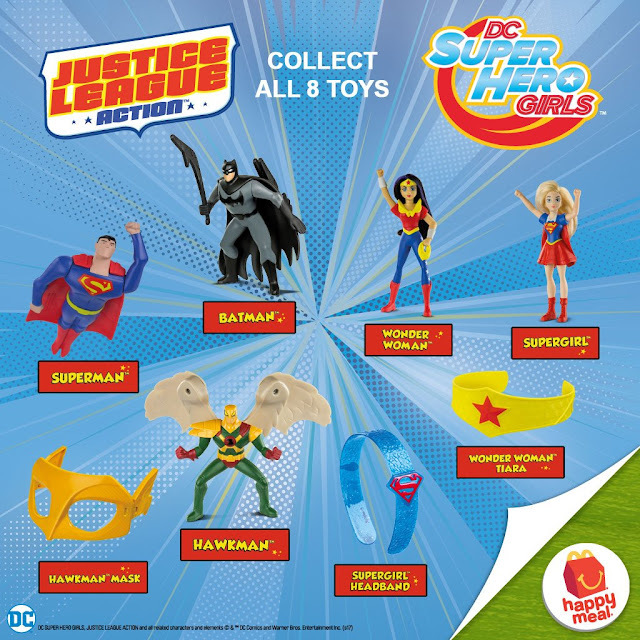 Add one to your league with every Happy Meal. 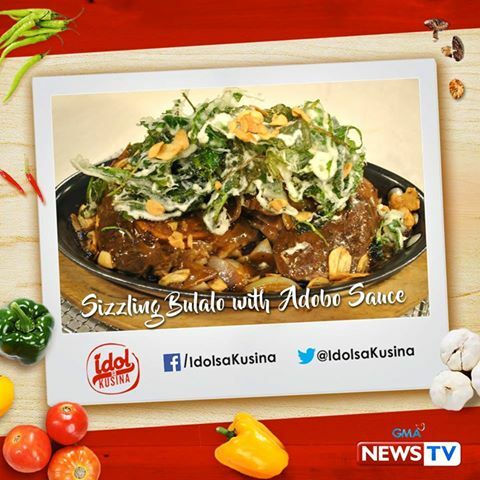 SIZZLING BULALO WITH ADOBO SAUCE INGREDIENTS AND PROCEDURES. 1. 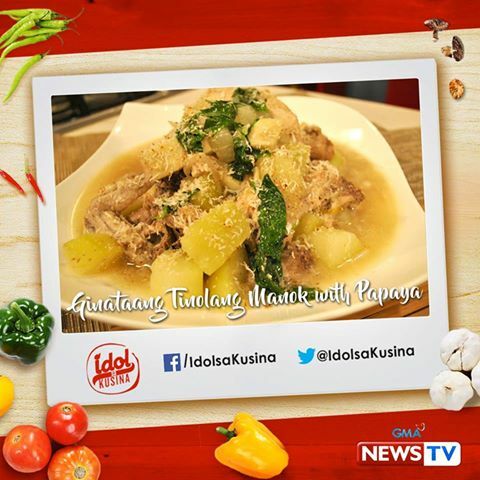 To make adobo sauce, combine onion, garlic, vinegar, soy sauce, laurel leaves and crushed black pepper then simmer until acidity from vinegar has reduced. Add slurry then simmer until thickened. 2. 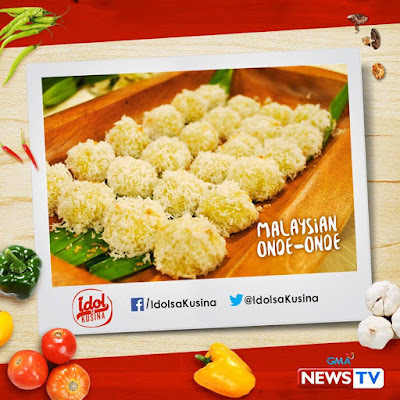 Combine cornstarch and water then dip kang kong leaves then deep fry until crispy. Set aside. 3. Sear bulalo on a sizzling plate then pour in adobo sauce. Top crispy kang kong then sprinkle garlic chips. 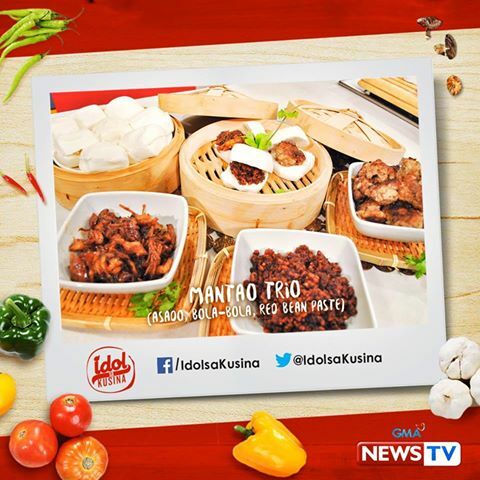 MANTAO (ASADO, BOLA-BOLA, RED BEAN) INGREDIENTS AND PROCEDURES. 1. To make red bean paste boil red bean in sugar, salt and water until soft then mash. Set aside. 2. 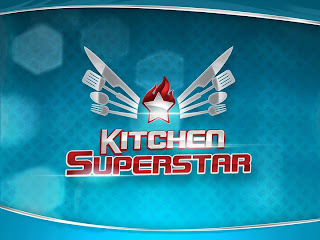 To make asado, boil kasim with pineapple juice, brown sugar, star anise and cinnamon. When kasim is tender add slurry into boiling liquid. 3. To make bola bola combine all ingredients on a bowl then roll into balls. Steam balls or blanch. Set aside. 4. Stuff filling on cuapao. How to Join Jollibee Drive Thru Scratch 2 Win Promo! Want to win a brand new SUV? Join the Jollibee Drive-Thru Scratch 2 Win Promo! Get a scratch card for every Jollibee Drive-Thru transaction with a minimum purchase of P200 to win instant prizes. 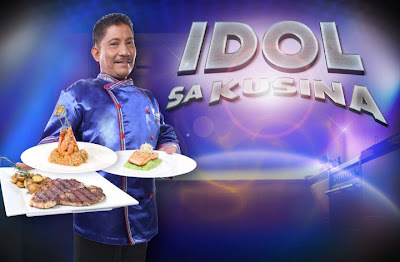 Kaya lahat panalo! 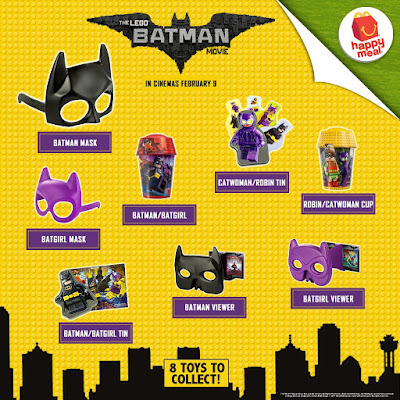 May chance pa to win one of five brand new Honda BR-Vs.
Make room in your bat caves for 8 new toys from THE LEGO BATMAN MOVIE! Get one with every Happy Meal, and collect them all! 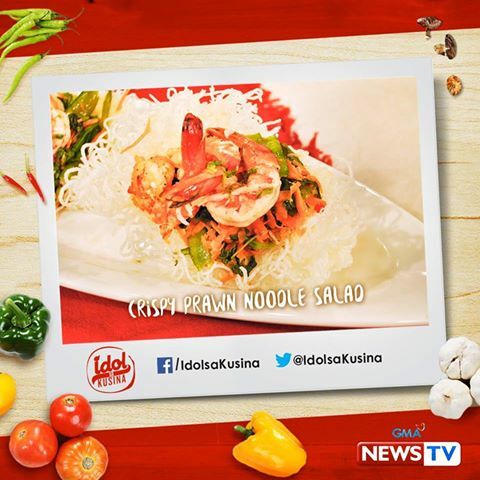 CRISPY PRAWN NOODLE SALAD INGREDIENTS AND PROCEDURES. 1. 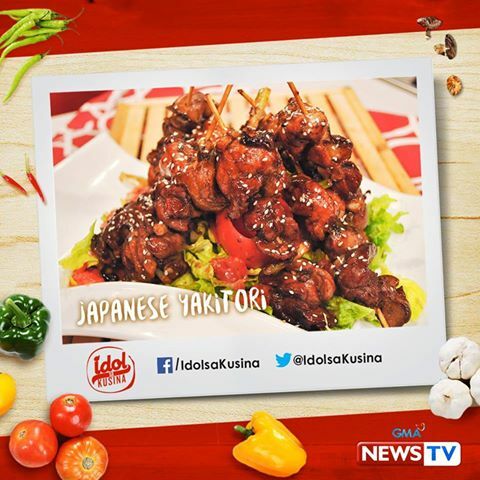 To make vinaigrette combine, sili labuyo, vinegar, brown sugar, fish sauce and mint then set aside. 2. Fry rice noodles then toss chitsaro, carrots, baby spinach and prawns. 3. Pour vinaigrette then garnish with mint. 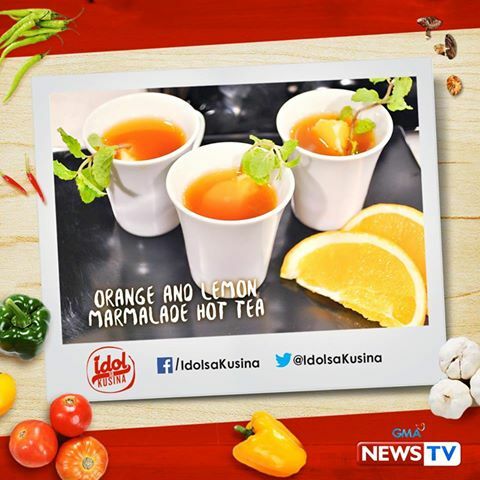 ORANGE AND LEMON MARMALADE HOT TEA INGREDIENTS AND PROCEDURES. 1. Steep teabags with orange maramalade, lemon juice, orange and lemon rind and cinnamon sticks. Let this steep for at least 3 minutes. 2. Add Honey To taste. 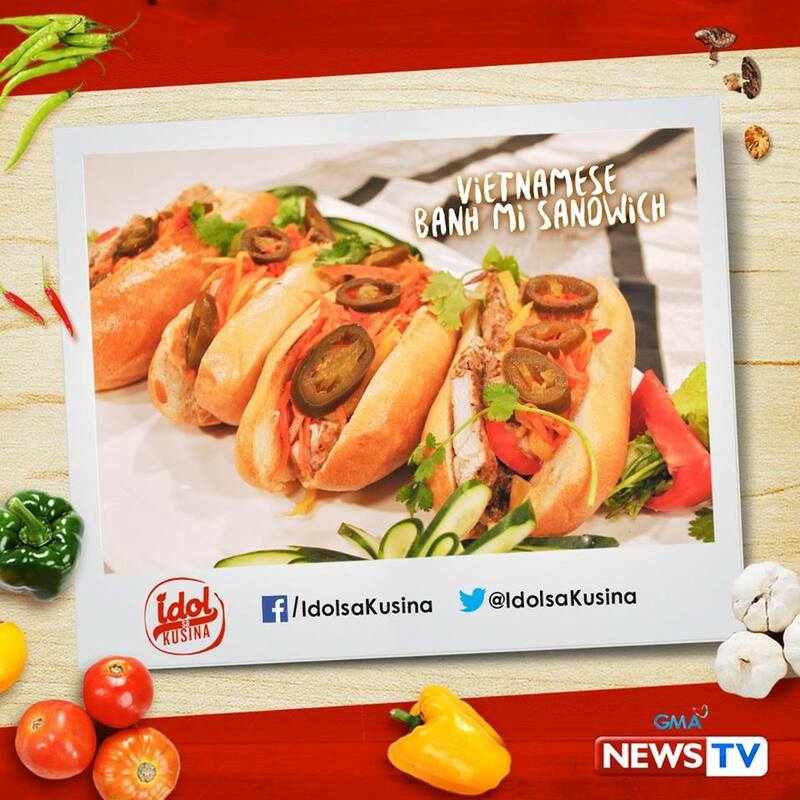 VIETNAMESE BANH MI SANDWICH INGREDIENTS AND PROCEDURES. 1. Marinade chicken breast fillet with 5 spice powder, lime, salt and pepper then pan sear. 2. Slice baguette in half then spread mayonnaise on the bottom half of the baguette then top pate, seared chicken, pickled radish, pickled carrot, pickled cucumber, cilantro leaves, jalapeno and then top with the other half of the baguette. Serve. 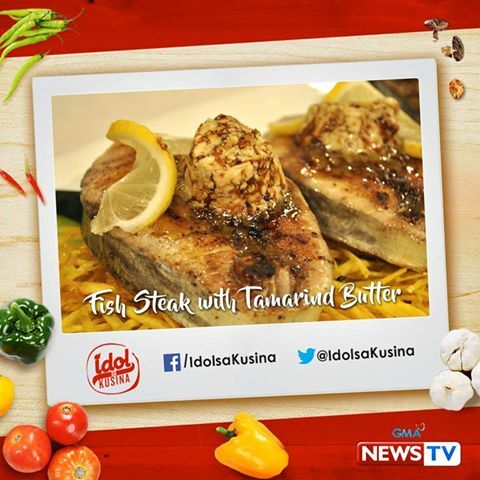 FISH STEAK WITH TAMARIND BUTTER INGREDIENTS AND PROCEDURES. 1. Season tanigue fillet with salt, pepper and lemon then grill for 5 minutes on each side. 2. Melt Butter then add in tamarind paste, kecap manis. Then Squeeze in lime. 3. Deep fry sweet potato then serve with fish steak. 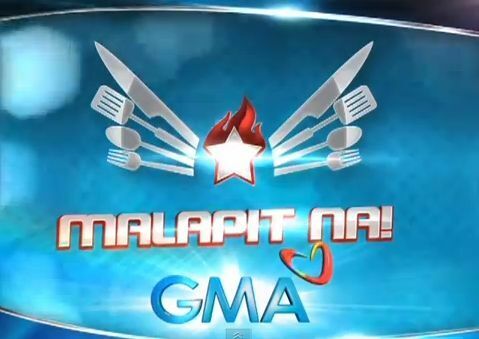 GINATAANG TINOLANG MANOKINGREDIENTS AND PROCEDURES. 2. Pour in gata then simmer. Add papaya then simmer until soften. 4. Season with patis then top toasted coconut. 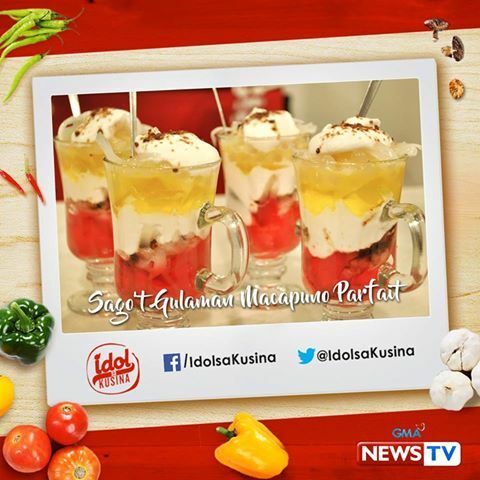 SAGO'T GULAMAN MACAPUNO PARFAIT INGREDIENTS AND PROCEDURES. 500 ml Coconut Cream, chilled. 1. Chill bowl then add coconut cream and powdered sugar. Whisk until stiff. 2. Line whipped coconut cream on a serving dish then sprinkle muscovado sugar, sago, gulaman and macapuno. Top another layer of whipped coconut cream then sprinkle muscovado sugar then sago, gulaman and macapuno. Repeat again then finish with sago, gulaman and macapuno. JAPANESE YAKITORI INGREDIENTS AND PROCEDURES. 1. 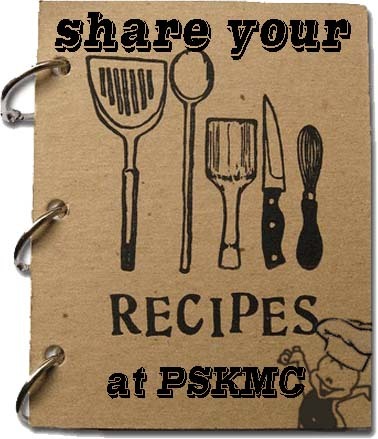 Combine all ingredients on a bowl then marinade for 1 hour or up to 24 hours. 3. Grill then baste with marinade every turn. 4. Garnish with spring onion. 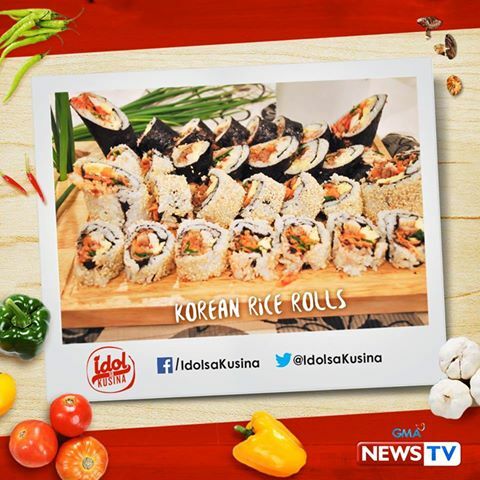 KOREAN RICE ROLLS (GIMBAP) INGREDIENTS AND PROCEDURES. 1. Put rice on a bowl then combine sesame oil and sesame seeds then set aside. 4. Beat eggs then season with salt and pepper. Cook eggs omelette style then slice into thick strips. 5. Sautee ground pork with garlic then season with soy sauce, honey, sesame oil, mirin, salt and pepper. Set aside. 6. To assemble lay nori on a flat surface then spoon enough rice to cover the nori but leave about ½ inch. Top filling then roll tightly. Cut into 6 equal pieces. 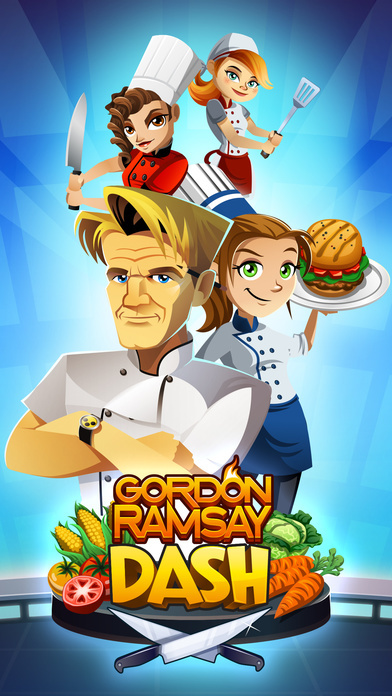 Have you ever played Gordon Ramsay Dash on your iOS gadget. 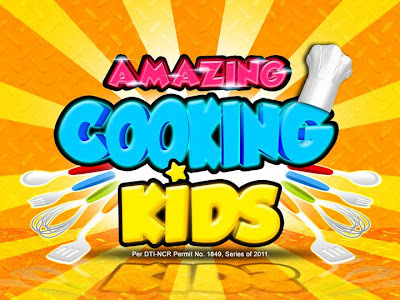 The game is so addicting especially for those people in culinary and those who simply loves to eat. 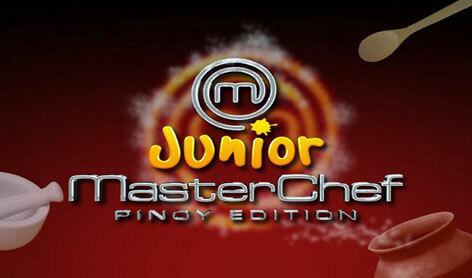 Watch a hunded videos of Gordon Ramsay Dash gameplay from Philippinesgoforgold Youtube Channel.